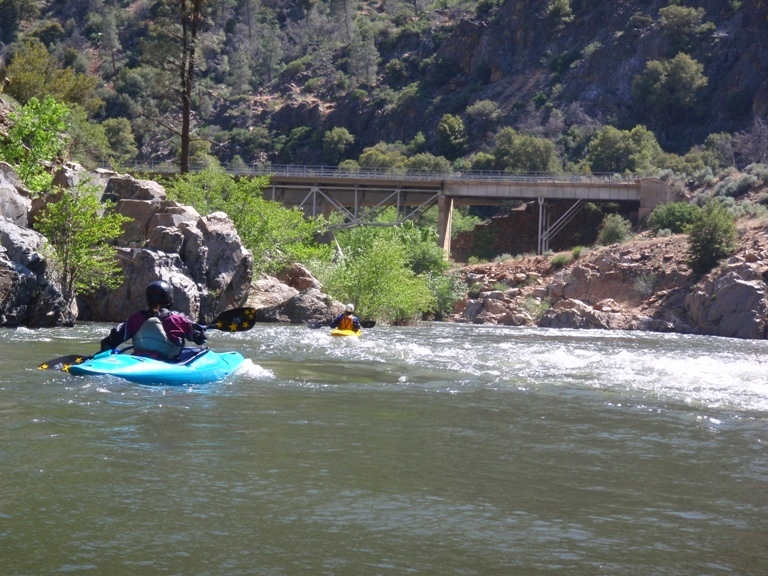 What makes the best escape from the Kern River madness over Memorial Day weekend, from the drunks, setting off on class IV+ in their Kmart rafts, from the sun scorched mothers tying a rope to their children to pull them across the river right above a rapid, from the endless trash that piles up to spoil the pristine place that they came to visit in the first place? 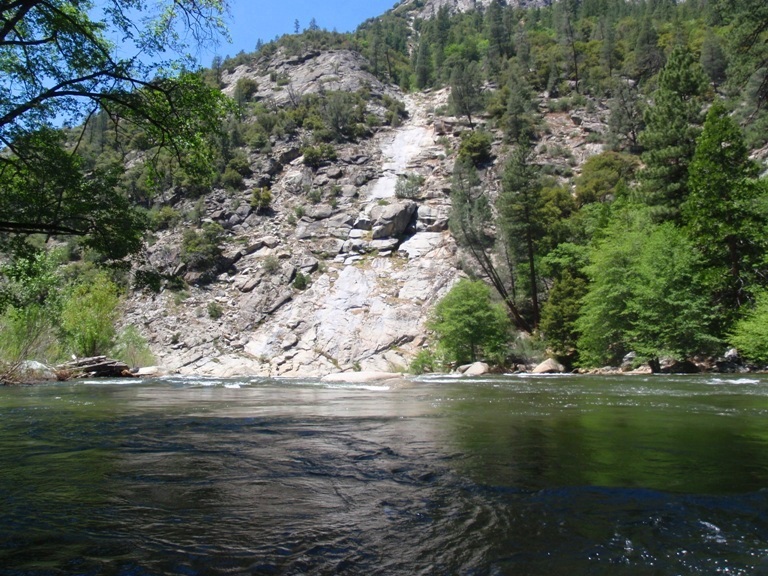 The Forks of the Kern, that is what. 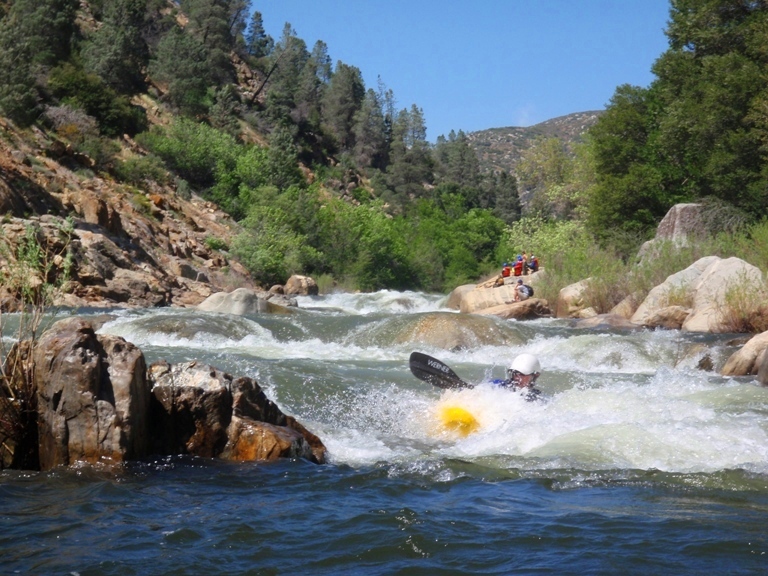 Lucky for us, most of those Memorial Day revelers are way to drunk and or lazy to hike in to any part of the Forks of the Kern, leaving the unspoiled grandeur only to those who boat their way in. 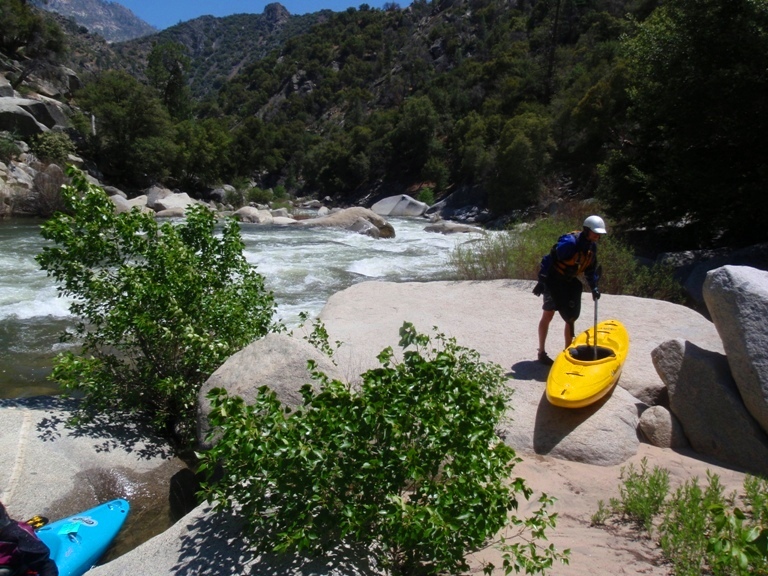 Now of course, if you visit the Kern on a weekend other than Memorial Day or the Fourth of July, it isn’t nearly as bad. My last time was wonderful, though it was in March. This year though was different, and the idea of getting on the Forks away from the masses was even more inviting than the Forks would normally be. Once you drive past Johnsondale Bridge the road gets smaller. Once you turn towards Lloyd’s Meadow it gets smaller still. Soon all civilization is gone, you are left with granite domes and spires, the Needles towering overhead. 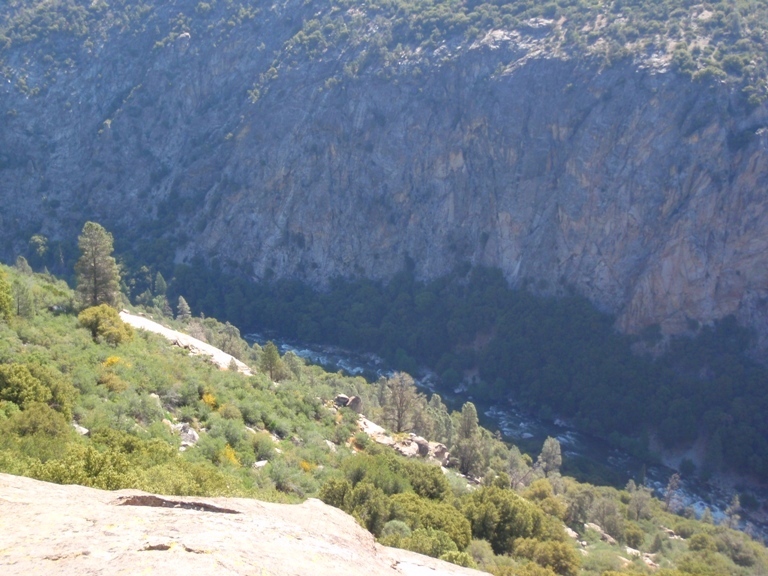 You get to the put-in and begin your hike, with the bird’s eye view of the canyon you are about to set out upon. 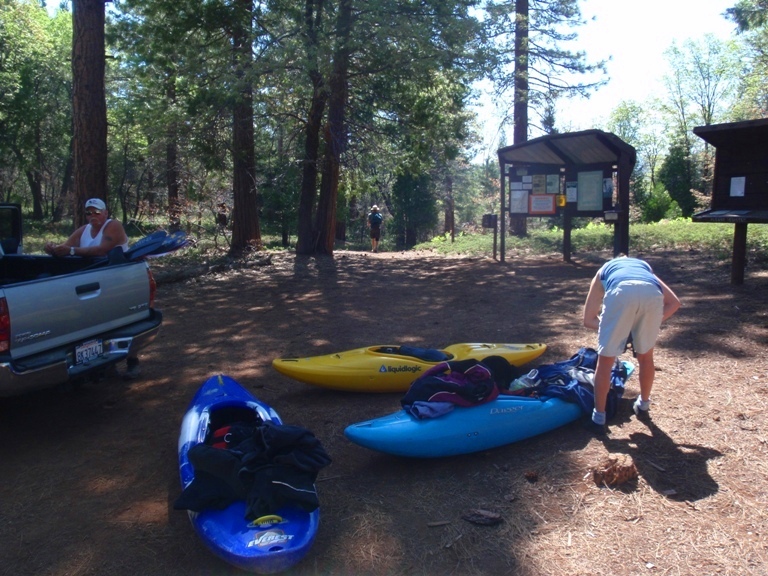 All the madness is gone, you are there only with your fellow paddlers and perhaps a few other hikers. Once you set out on the river, the wide open valley soon tightens up, granite walls rise shear from the river, you look up river and see the Needles behind you, you look forward and see granite walls. All is good in the world. 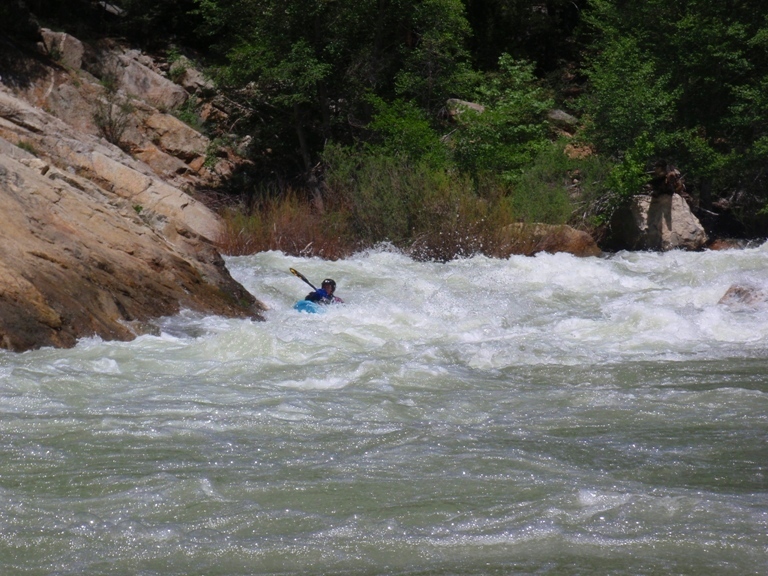 Oh, and the whitewater is continuous and fantastic. Our trip almost didn’t even. My group faded and didn’t make the drive from Sacramento, it was only Diane and I, 6 hours from home. 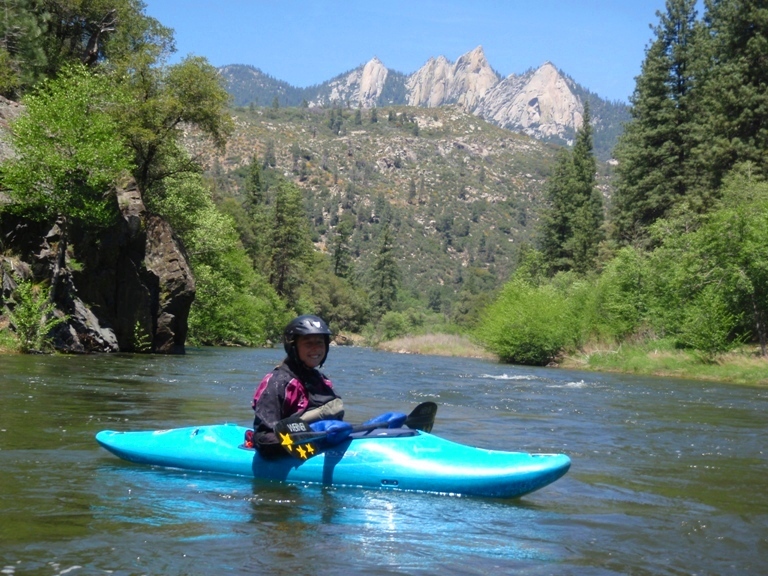 Lucky for us, upon stopping in at the Kern River Brewing Company for food and drinks and met Marc, who is a local and was looking to boat the Forks. Who said beer doesn’t solve all problems? (my mother, that’s who). So now we not only had a third for safety, but Marc had done the run many times before. This proved to be most valuable. 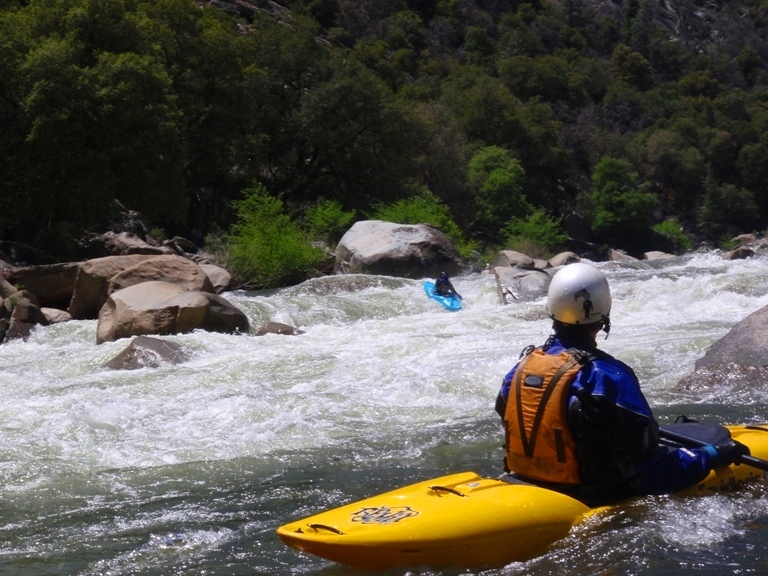 Despite what other guide sources may say, the Forks of the Kern (at least at 2,100 cfs) is not anything like the Lower Tuolumne. No no, in fact, it is at least two steps harder. 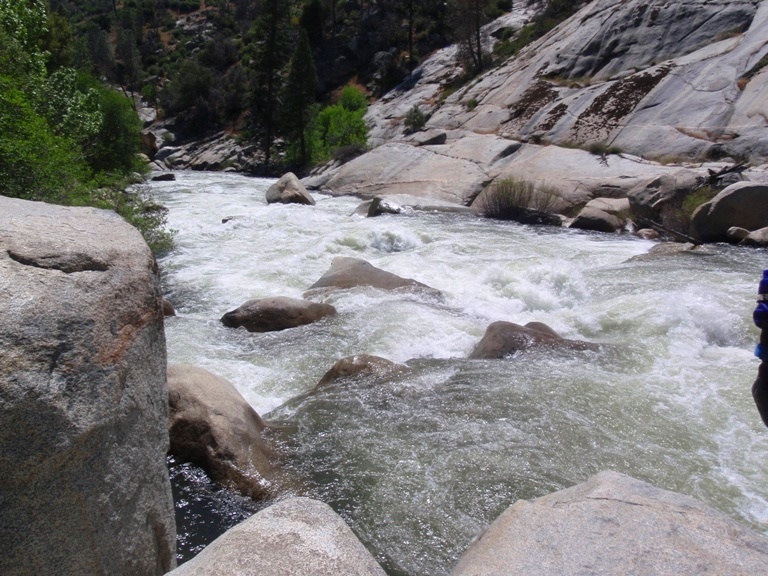 Not to mention there are mostly no pools between the rapids. Some may have calmer water, but there is never a pool, never even a slow current. It baffles my mind that the gradient is only 75 fpm over the steepest miles. It felt more like 100+. Now, to be fair, in those other guide sources the photos show folks taking a leisurely amount of time making their moves at low water. 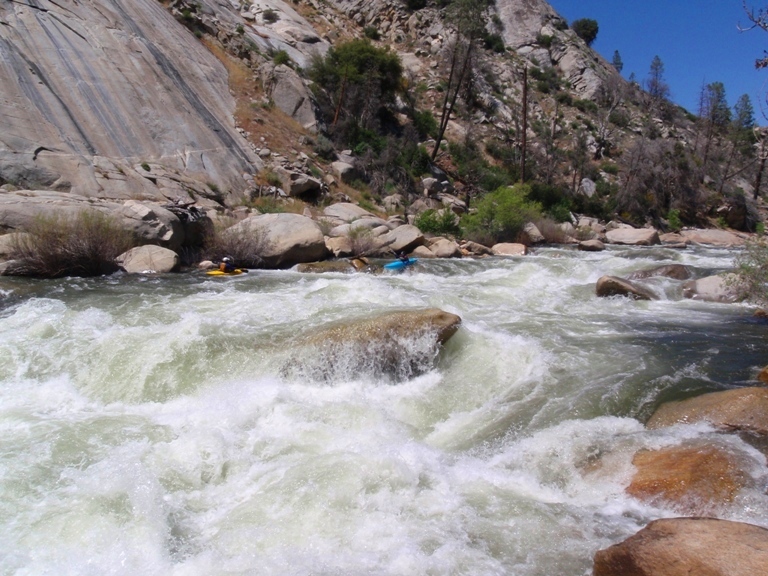 So perhaps at lower flows near 500 cfs, it is a pleasant easy class IV experience with a few standouts. 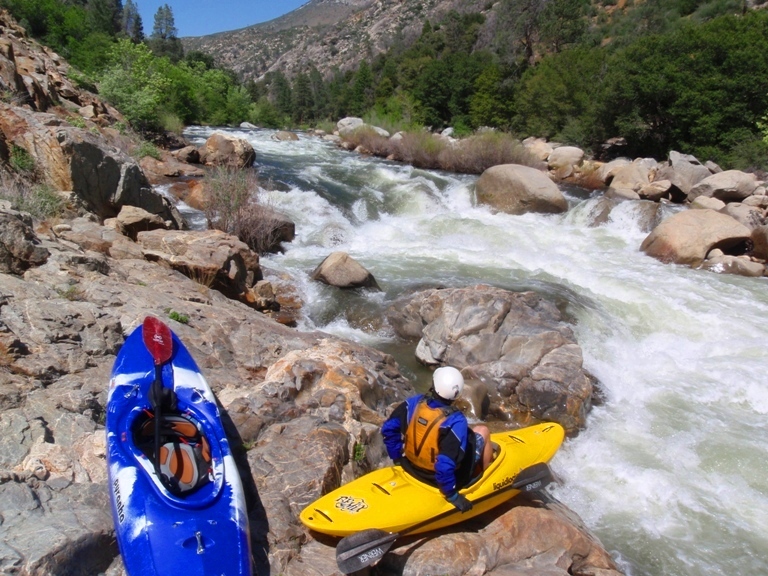 At 2,100 cfs we felt the river was packed full of IV and IV+. 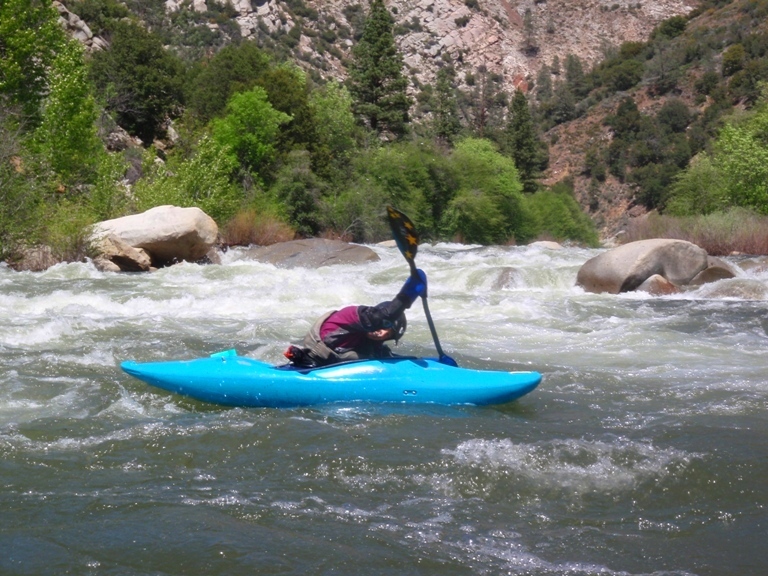 A few stretches required the respect of class V due to consequence (holes, sieves, or just the next set of rapids just downstream) though not requiring class V moves. There were some huge holes to boof over and many bigger ones to avoid. If it weren’t for having Marc show us the lines, Diane and I would have spent many more hours scouting the steep and long drops to ensure no holes snuck up on us. Furthermore, I can imagine there may have been an extra portage or two just our of fear of boofing one of the large holes. In the end, the hike took us one hour, and the river took us three and a half. The first 8.5 miles took less than 45 minutes. We took maybe a fifteen minute break, portaged Vortex (which changed this year, 2009, for the worse), Carson Falls, and scouted Westwall (I actually portaged Westwall because I was too tired to be sure I could make the ferry, Diane and Marc ran it though, and Marc styled it… I will let you draw the conclusion from the omission there). So in conclusion, for me, I am glad we didn’t have any higher flow for my first time. 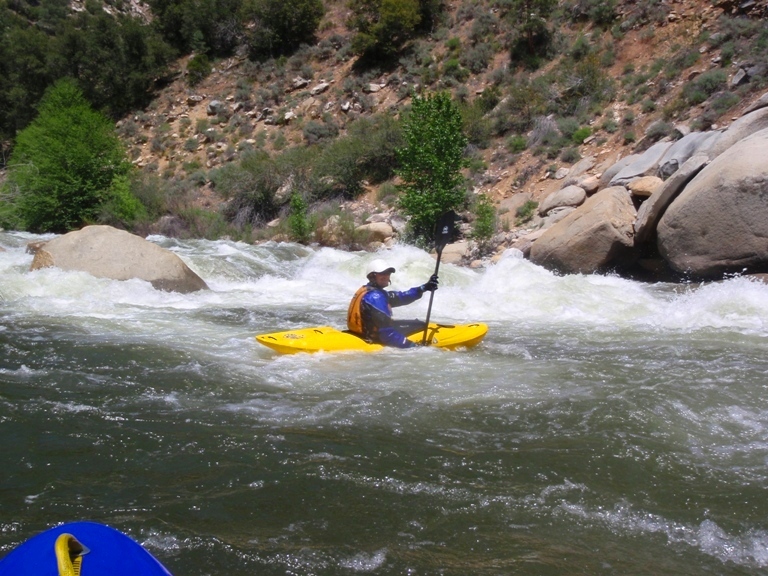 I was surprised in the stressfulness of the day, big water paddling is not something I am use to. 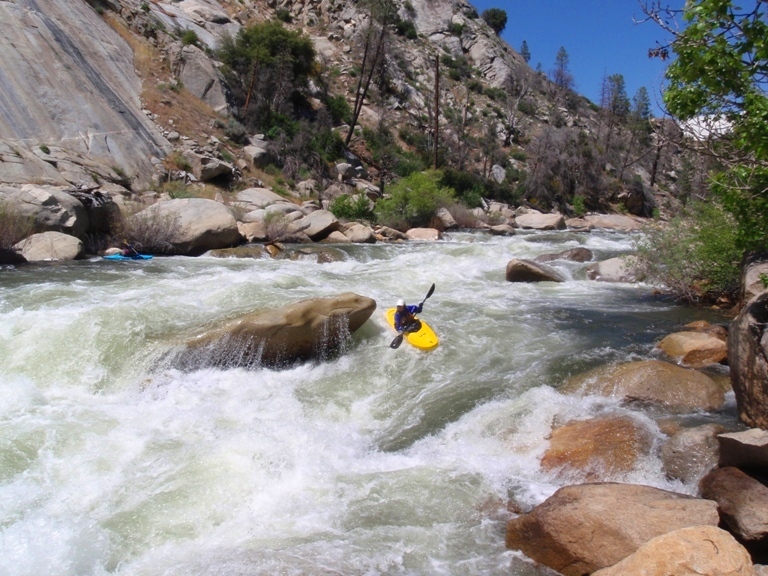 I think the next time I would enjoy the rapids more now that I know the lay of the land. 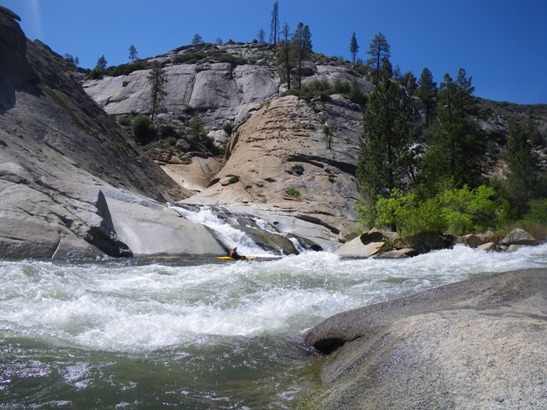 If you are looking for a easier class IV day I would wait for lower flows near 1,000 or less. 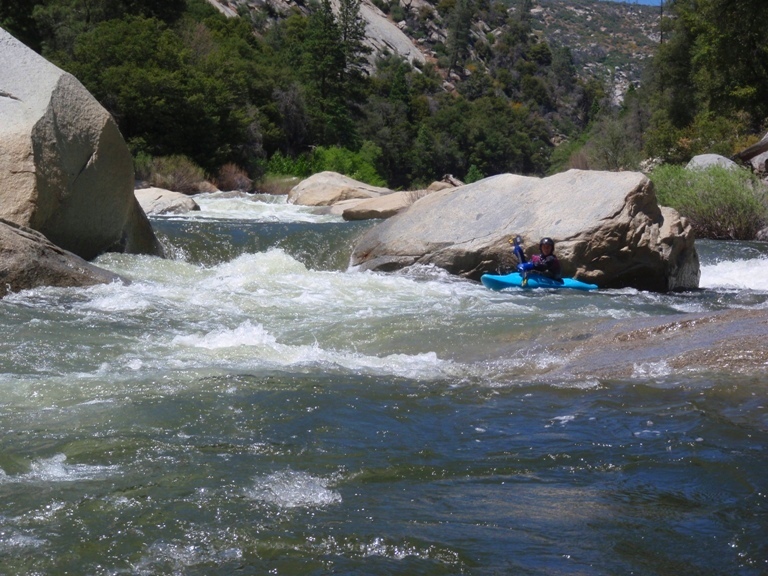 I know that locals say at 600 the river is very worth doing and surprisingly fun. Apparently, it even goes down to 450. On the other side, folks run it over 5,000 cfs as well. Though I can imagine it must be absolutely huge at those flows. 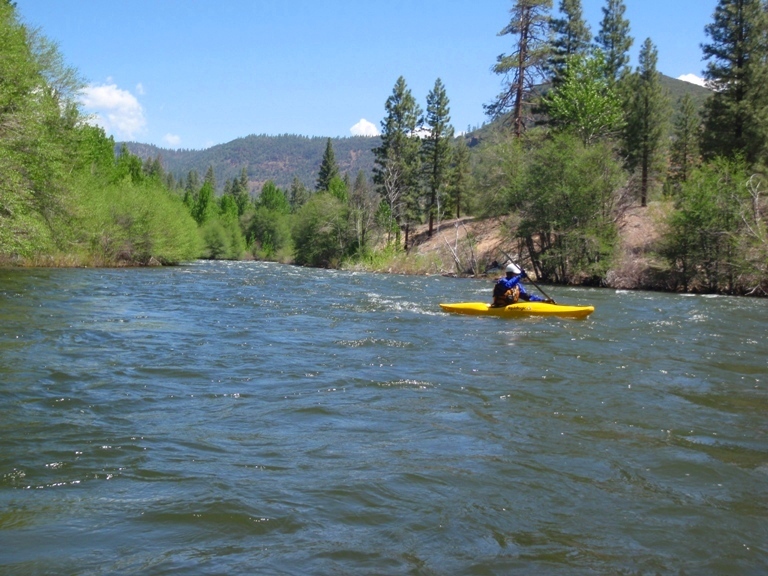 The first three miles fly by with a few class III to III+ rapids to warm up on. 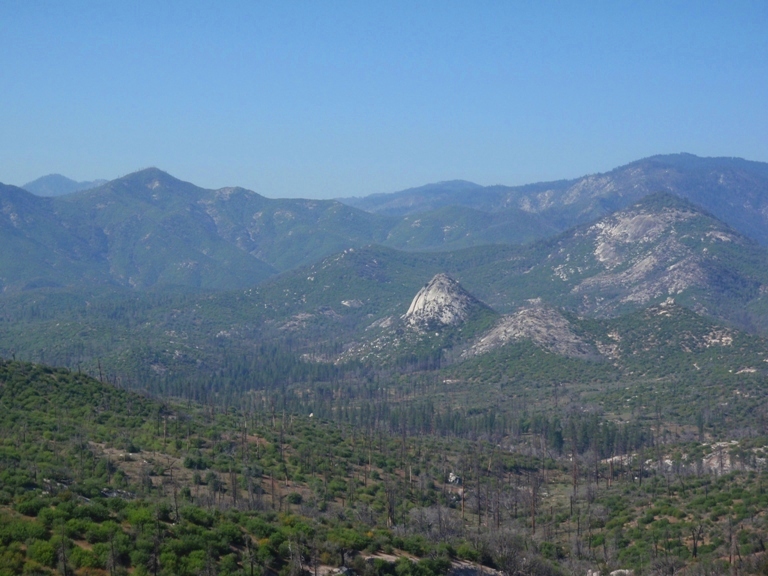 Upper Freeman (III+ to IV). We went down left of center making sure to be just left of the midstream boulder. Lower Freeman (IV+ to V-). Down the right of center, pointed straight at the wall, once past the huge midstream hole, turn left and book hard away from the wall to avoid the hole against it. It was a monster hole at our flow. Several other class IV, none had distinct character in my mind. Avoid the big holes. This is also the stretch you can see from the turnout high above on the shuttle in. Needlerock (IV to IV+). A weird curler makes hitting the boof over the large hole a little difficult. To add to it the right wall is undercut and the left side has a rock in the landing. 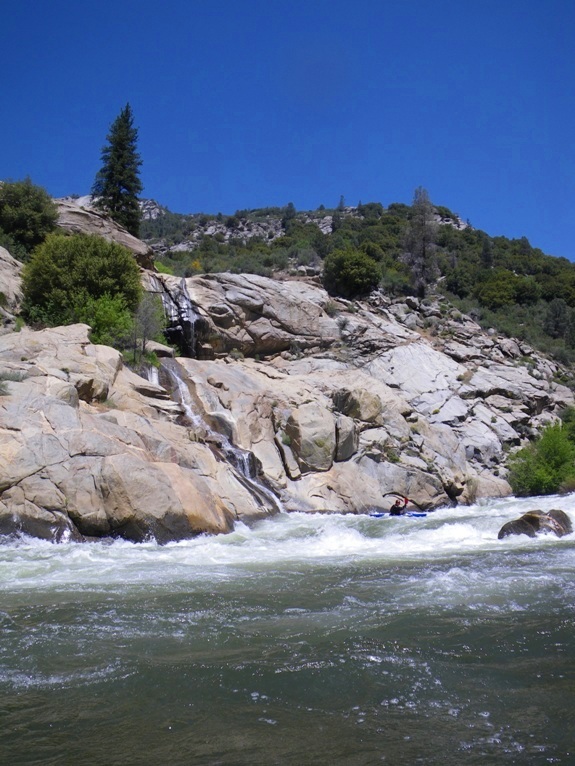 A nice waterfall cascades down into the river on the right mid-rapid. More class IV, I remember entering one on the right and then realizing the error of my way, jamming left, catch an edge which stalls me long enough to get entirely too close to a hole the side of my first car (ok, it was only a ’88 civic, but still, very large hole). Durrwood Lodge on the left. 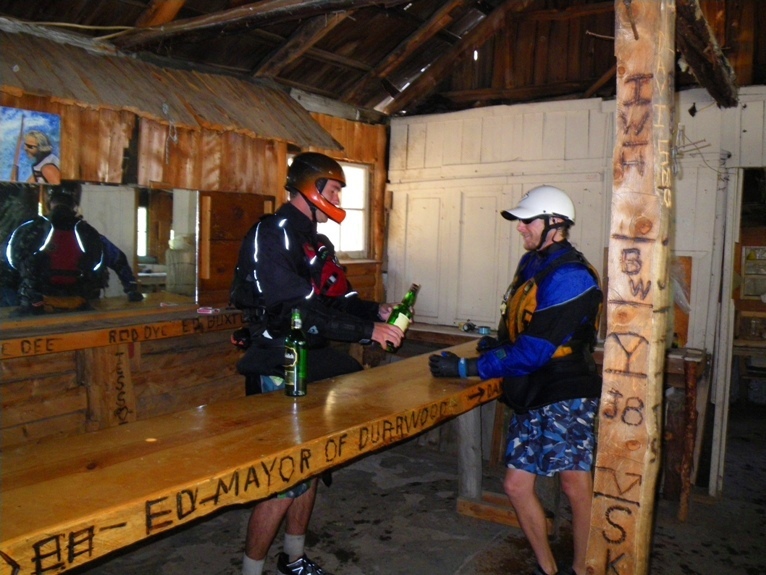 An interesting old lodge with several cabins and a bar. 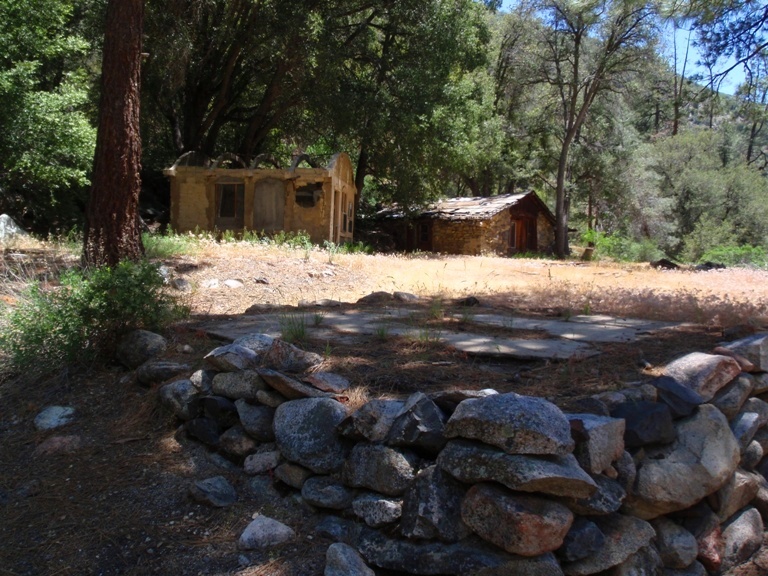 Several structures still remain although the Forest Service destroyed several several years ago. It is worth spending 5 minutes looking around. Little Bean (IV). Easy if you enter in the correct spot. We went down the left side of the right channel. This turned into being the middle of the river. Dodge the holes. Big Bean (IV+). 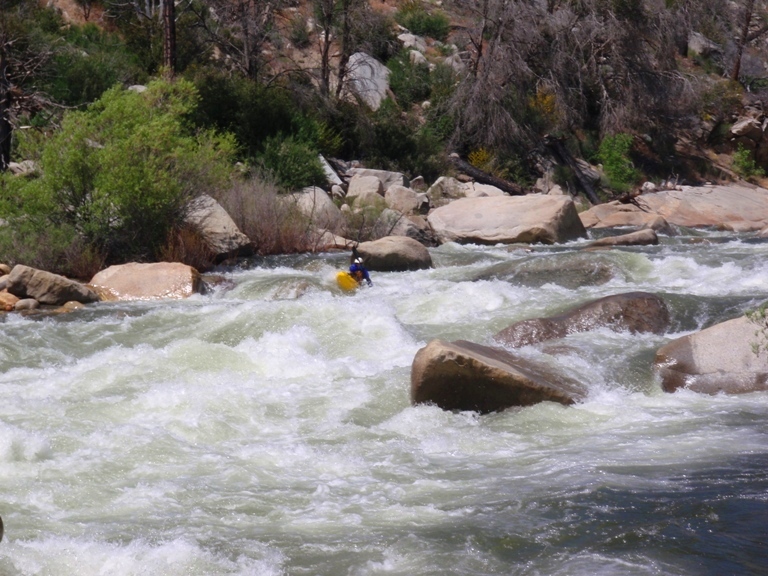 Not overly difficult at 2,100 cfs but there is a hole to provide consequences to the missed boof. 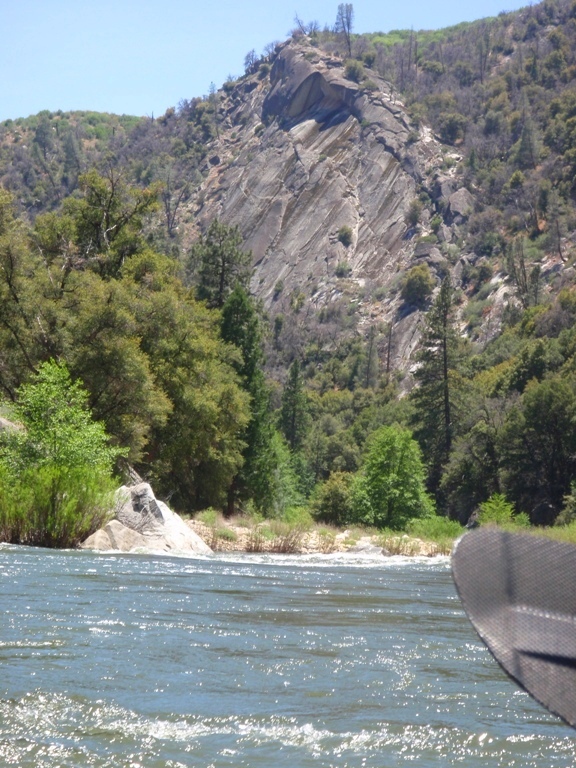 About 100 yards of holes and wave dodging lead to the “Bean” which is a red rock in the middle of the river. The line is to boof just off the left side of the rock and avoid the huge hole further to the left. I am not sure what is on the right side of the river. Peppermint Creek enters on the right. Supposedly a nice side hike although I didn’t take-it. Also, notice the granite wall with the upside down “V” notch in it on your right. Vortex is at the base of it. Vortex (V). 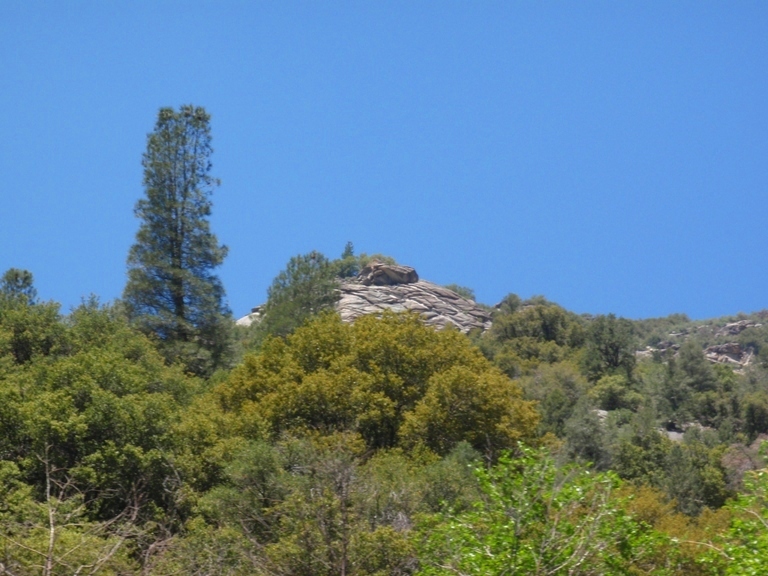 In 2009 one of the middle rocks at the top fell over making Vortex even worse. There were no clean lines, there was one that forced you to punch a huge hole that fed into an even bigger more terminal hole. We walked easily on the right. Gauntlet (IV+ to V). A series of moves, adding up to be an easy class V in my mind. We went down the right, boof a large hole. 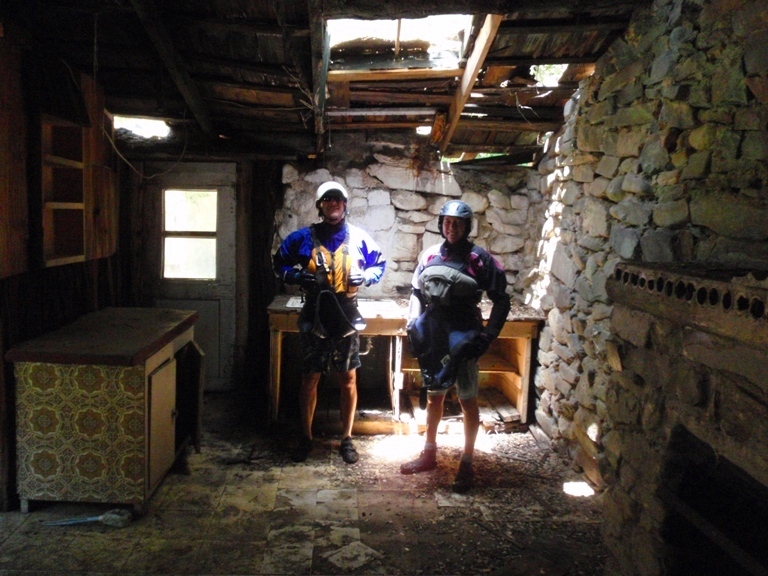 We then worked to the center and boofed “Double Jeopardy” which is a massive hole at the bottom. Man I had to paddle hard to avoid getting stuck. Somewhere near here is where my left boof stroke began to fail me… the theme: “melt then paddle like hell,” would be repeated several times from here on out. Too much class IV to keep track of. Four Mile (IV to IV+). 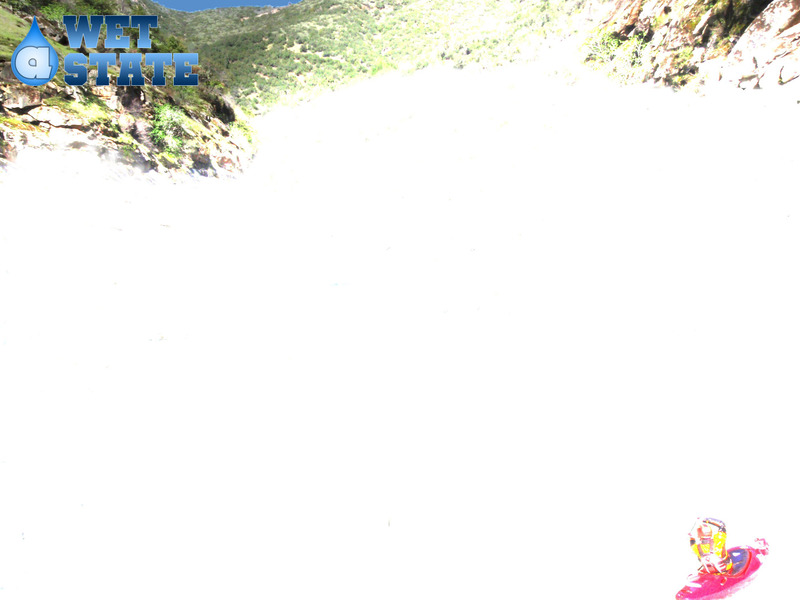 A steep drop with several holes lead to two massive wave holes on the left. You would be best served to thread the needle down the middle between the holes and the rocks on the right. 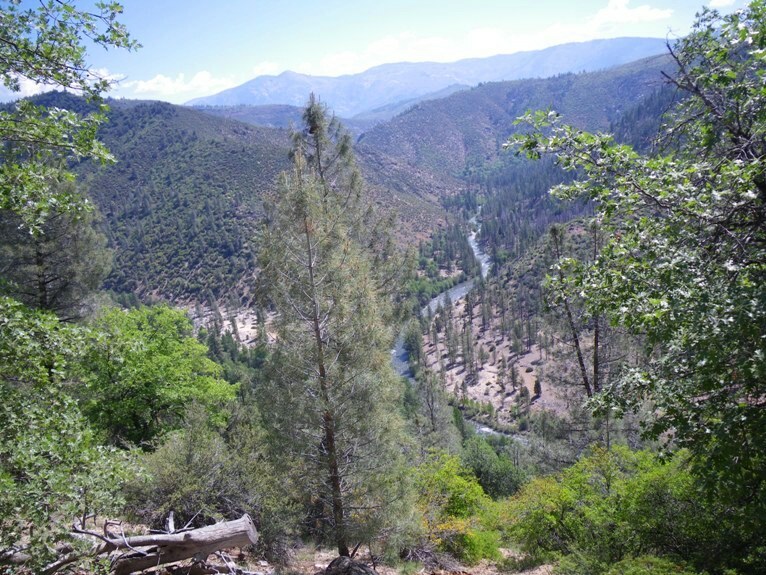 A trail follows the river on river left the remaining four miles to Johnsondale Bridge. The Geologies (IV+ to V-). 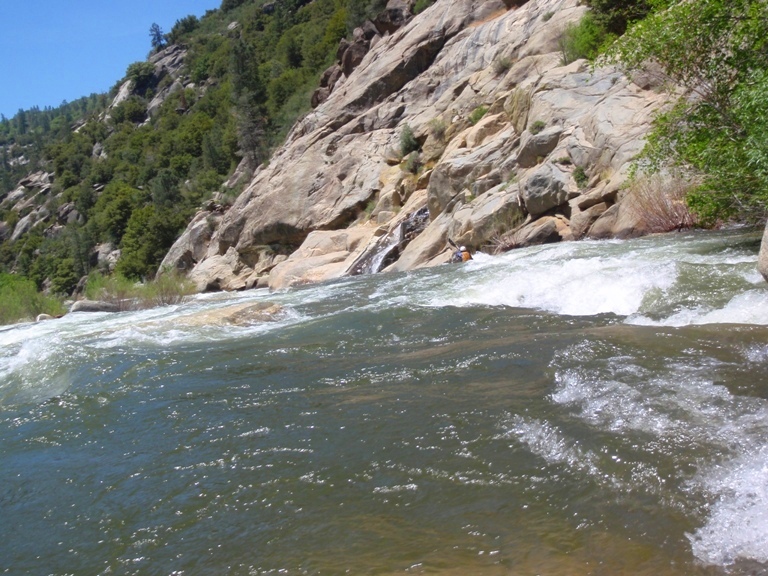 The rapids felt like IV+ to me, but I also remember them being stacked on each other with no room for swims. 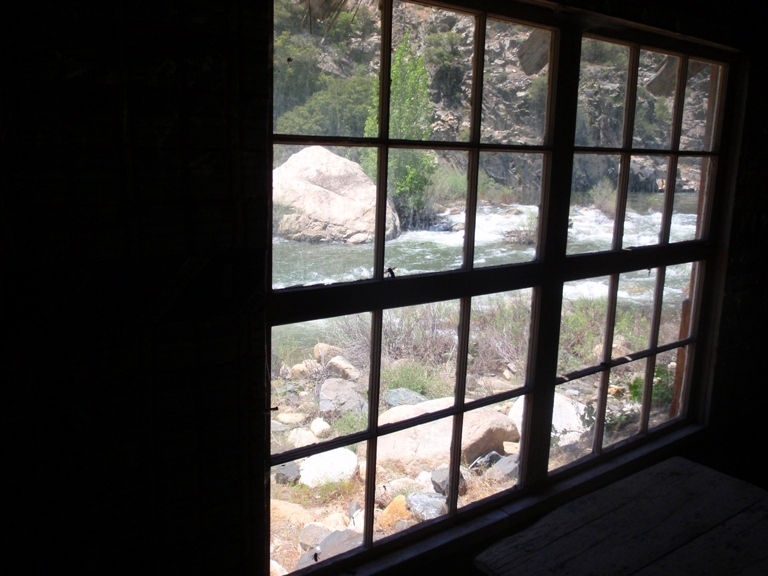 A swim would likely be a horrendous long affair in here at 2,100 cfs. The Geologies are actually 2 rapids, Rincon, Metamorphosis, and Basalt. These contain a few of the largest holes you are forced to hit. 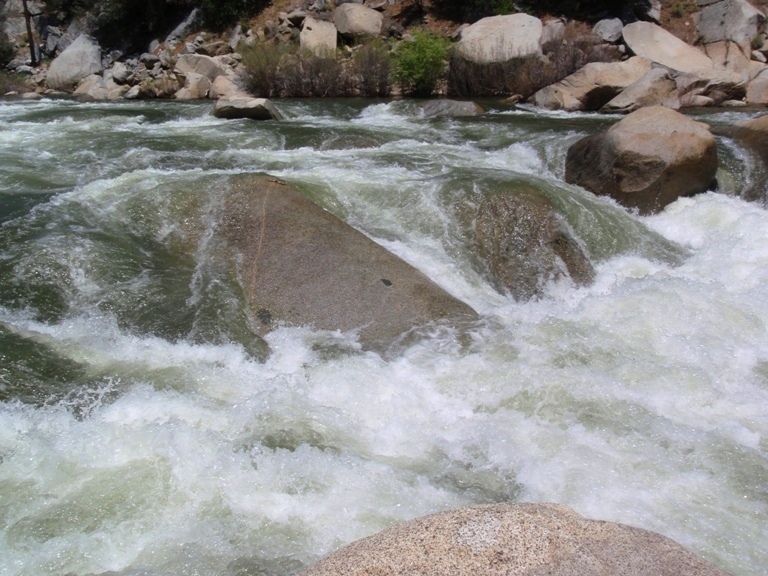 The turbulent water is plenty enough to dislocate an arm. As Rebecca Giddens. Westwall (V). 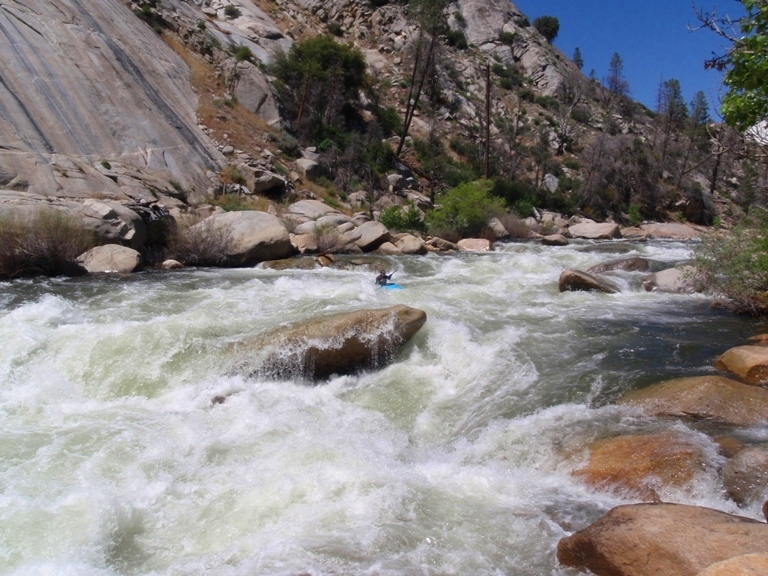 At 2,100 cfs the only decent line was to boof around on the right to the eddy just above the final drop. 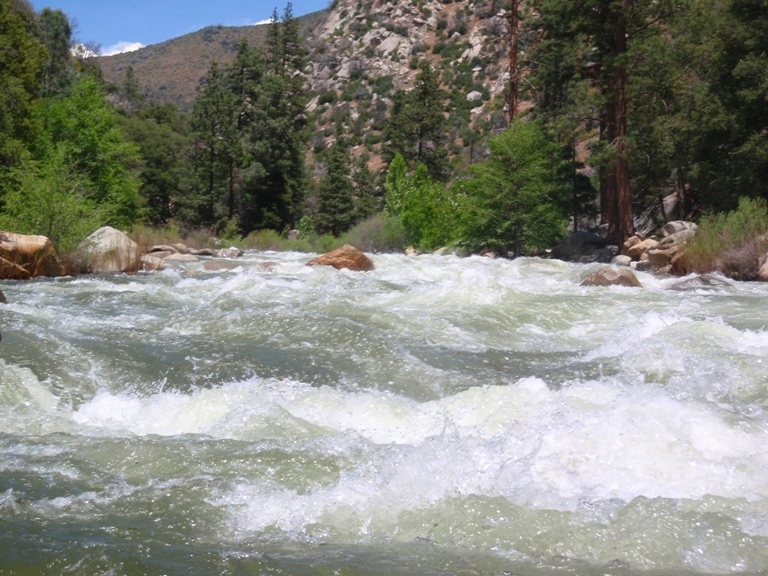 From there ferry across the powerful rapid exposing yourself to the massive center hole, the undercut “dice,” and the sieved/undercut “Whale’s Tail,” with hopes of finishing on the left side of the rapid. I was too tired to make the ferry and walked easily on the left. 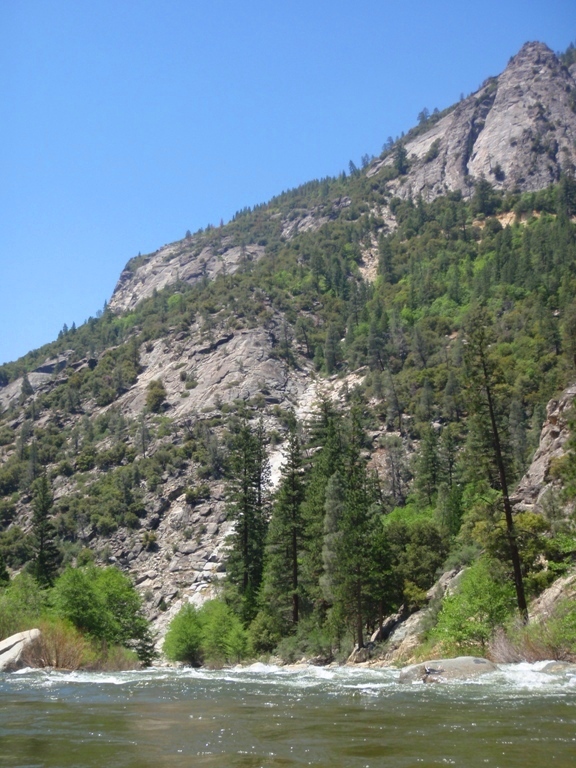 Dry Meadow Creek enters on the right through a huge swath in the granite mountainside. The bottom slide can be run with minimal effort. Carson Falls (V). 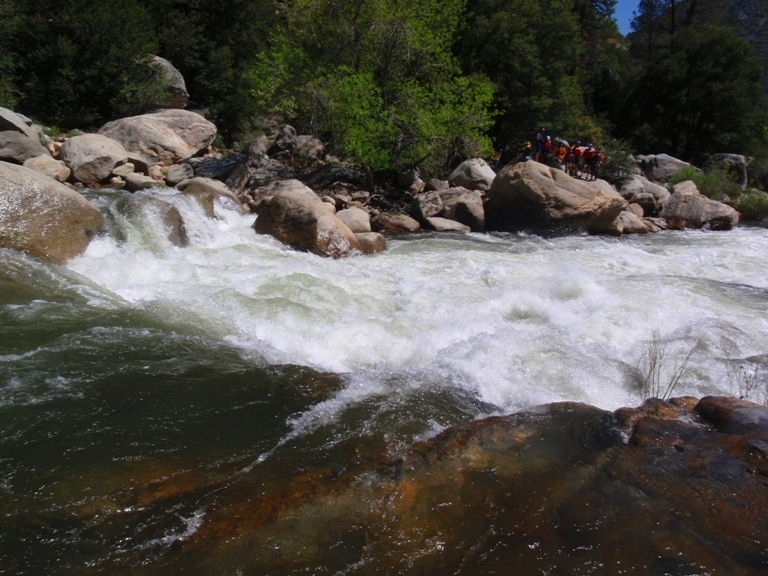 Class III and IV rapids lead directly to the lip of Carson Falls. 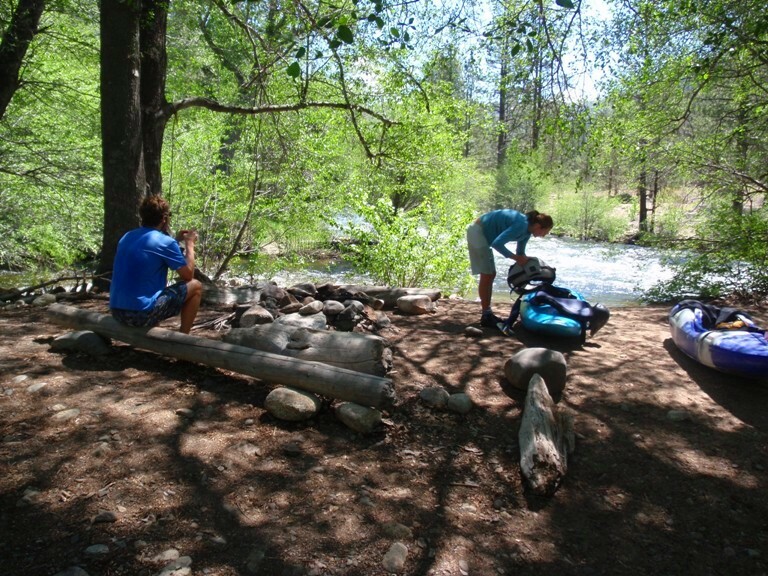 You can eddy out 200 yards upstream on the left or 10 yards upstream on the right. We were led down the right side to the eddy at the lip. There are some large hole in the rapid leading to it so be aware. The rapid itself is huge. Please take it seriously. 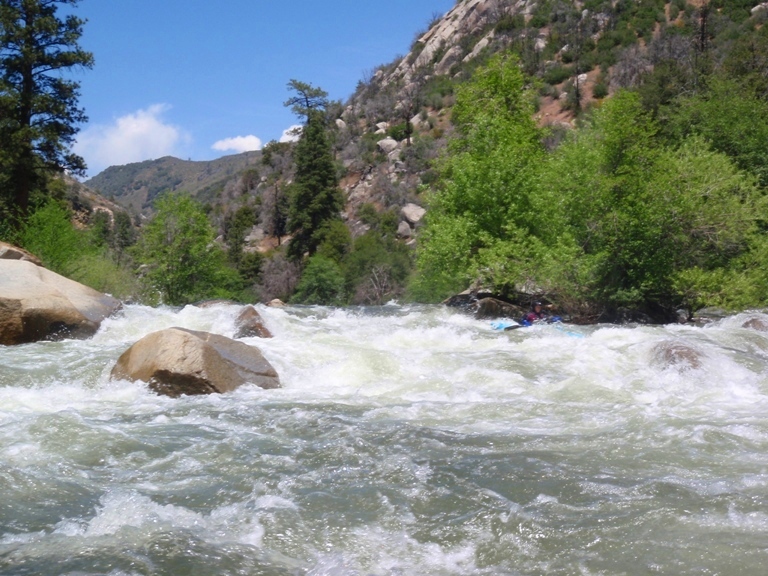 The rapid is badly sieved and sadly, has claimed the life of several boaters. 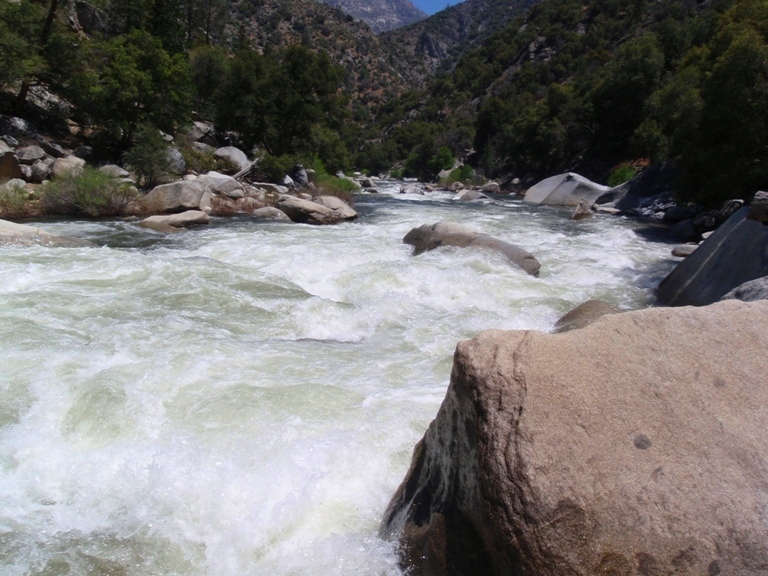 There are one or two more class III rapids and you are done. 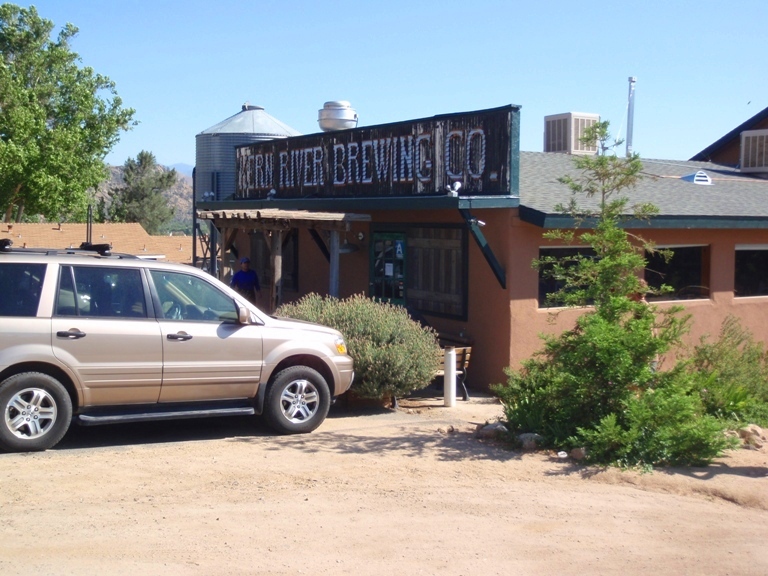 Now, if you had a shuttle arranged, you can drive straight to KRBC and drink a few pints while telling tells of your bravery and courage, or your ability to walk rapids like a champ, whichever. 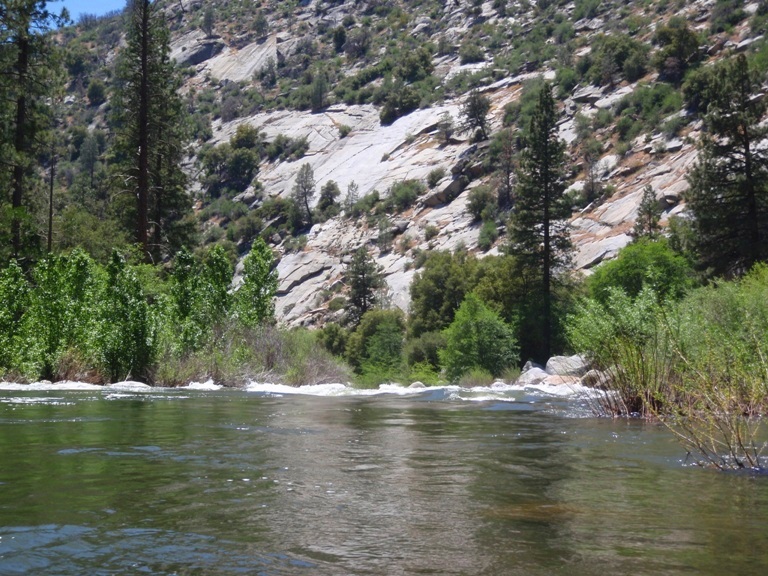 Take-out: From Kernville, travel north on Sierra Way until you pass Brush Creek and come to Johnsondale Bridge where the road crosses the North Fork of the Kern. Park. Put-in: Continue up Sierra Way (Mountain 99). Just past the resort of Johnsondale, turn right towards Lloyd’s Meadow. 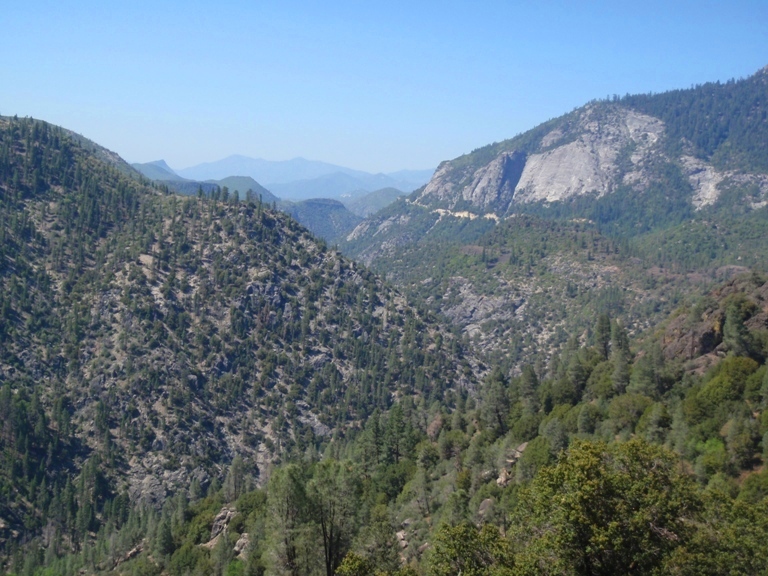 Drive about 15 miles until you see a sign for “Fork of the Kern” at which turn right. 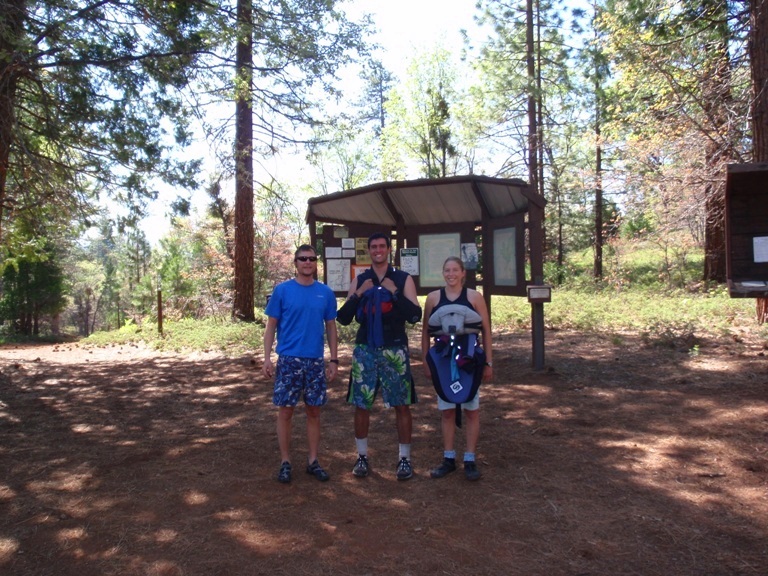 Follow until you get to the trailhead (about 2 miles). 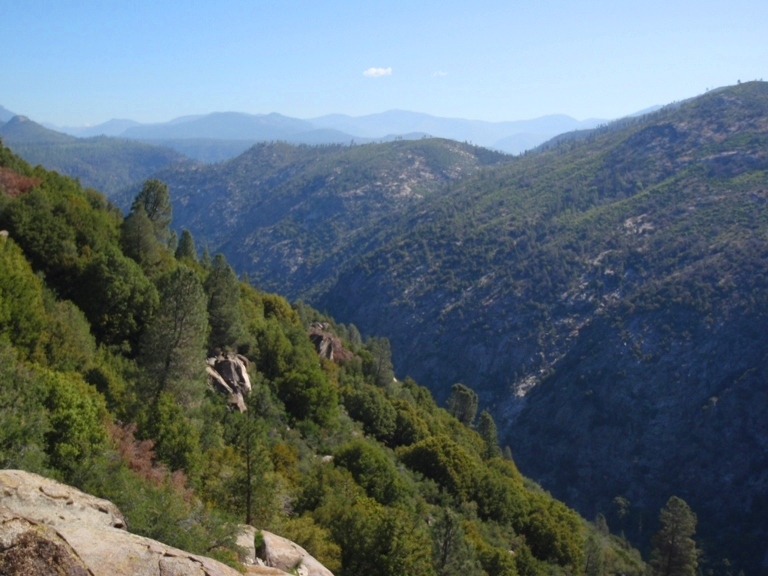 Hike two miles down the gradual trail. It is a very gradual downhill.